Cleaning up and recovering from flooding takes time and can be overwhelming. The links below contain information some of the things you will need to know as you go through FEMA’s National Flood Insurance Program’s (NFIP) claims process. Flooding is generally the most common and costliest type of disaster Missouri experiences, but standard homeowner’s insurance does not cover flooding, so it’s important to have protection from damage associated with flooding. SEMA’s Floodplain Management Section administers the National Flood Insurance Program (NFIP) for the state of Missouri. 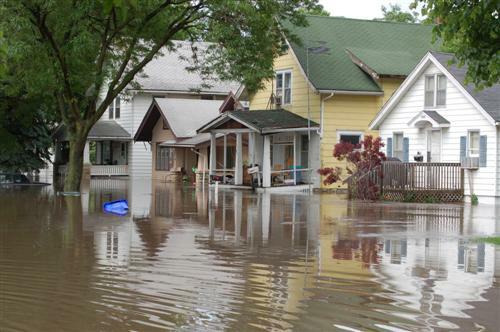 NFIP offers flood insurance to homeowners, renters and business owners if their community participates in the program, providing more than $4 billion in flood insurance coverage for Missouri homes and business annually. Participating communities agree to adopt and enforce floodplain management ordinances that meet or exceed FEMA requirements. The National Flood Insurance Program was created by Congress in 1968 to provide a means for property owners to protect themselves financially from flood events. The program is administered by the Federal Emergency Management Agency. The NFIP offers flood insurance to homeowners, renters and business owners if their community participates in the NFIP. Participating communities agree to adopt and enforce floodplain management ordinances that meet or exceed FEMA requirements. More than 20 percent of NFIP claims are submitted by people who own property outside of high-risk areas. If you live in an area with a high risk of flooding, you have a 25 percent chance of your home being flooded over a 30-year mortgage. In moderate- to low-risk zones, the chance of flooding is lower but still present. Source: National Flood Insurance Program figures for U.S.